Does your lack of results frustrate you? At American Family Fitness we believe circuit training makes all the difference. Come see us for a full-body workout and watch the pounds melt away! Are you tired of not seeing results? At American Family Fitness in Mechanicsville, we believe circuit training can mean the difference in your level of fitness. Circuit training involves alternating short bursts of strength and cardio tasks, one after the other, with little rest in between. The goal is to keep your muscles guessing and prevent the possibility of plateau. And with AmFamU, you will learn the wide variety of equipment we offer and the best way to use it. Are you looking for improved results in fitness? 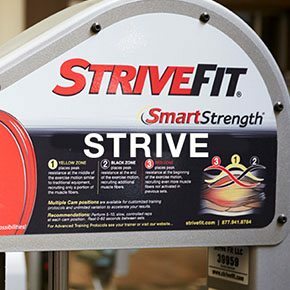 With the Strive Program at our Mechanicsville health club, you can receive optimal results in a surprisingly short span of time. The goal is to keep your muscles guessing and to prevent plateau. Come on in today to try it out! 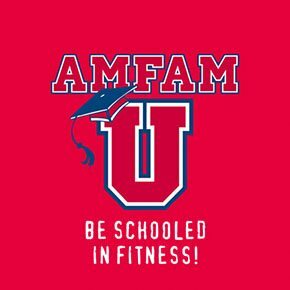 At our Mechanicsville gym we offer AmFamU, an eight-week program that teaches all you need to know about fitness and the equipment used to get you there. Professional coaches will educate you throughout. Register today to start tracking your progress. The goal of our health club is to provide members with the best experience possible. We have coaches available from 6:00 am – 9:00 pm, Monday through Friday. 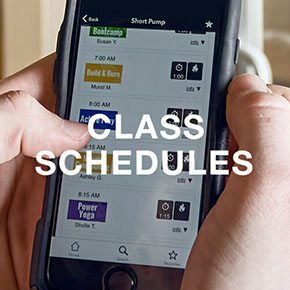 Schedule sessions with Motionvibe and begin your journey today.